I see there is a post about the best/most used in the shop. I’d like to do the opposite. I am so mad at myself for wasting the money in purchasing the vacuum work holder from lmi, I just would like to warn everybody about this tool. I can never use it. An unfinished guitar does not hold well. Mdf does not hold. It is clumsy. I am reluctant to use it on new guitars. So, I basically I have never used it. I would love if somebody here could contradict me. In that case, what is your use for this tool? Also, what is your worst/least used tool in your shop? Something like that is going to need a glass-smooth finish, or at least a fully sealed and very flat surface, to work. Probably two coats of shellac would seal unfinished wood enough, or that MDF with the vinyl contact finish on it. They say nothing about this on the web page. I think it is for mar-free clamping of fully finished instruments. Enrico Schiaffella wrote: I see there is a post about the best/most used in the shop. I’d like to do the opposite. I am so mad at myself for wasting the money in purchasing the vacuum work holder from lmi, I just would like to warn everybody about this tool. I can never use it. An unfinished guitar does not hold well. Mdf does not hold. It is clumsy. I am reluctant to use it on new guitars. So, I basically I have never used it. I would love if somebody here could contradict me. In that case, what is your use for this tool? Also, what is your worst/least used tool in your shop? I think this is a very useful thread. As a new builder, I wasted a ton of money on stuff that I don't use, or was made not all that well. - LMI plane gluing wedge clamp setup.- Mario's tape trip works way better, easier, and cleaner. A handful of nails and a hammer work way better. 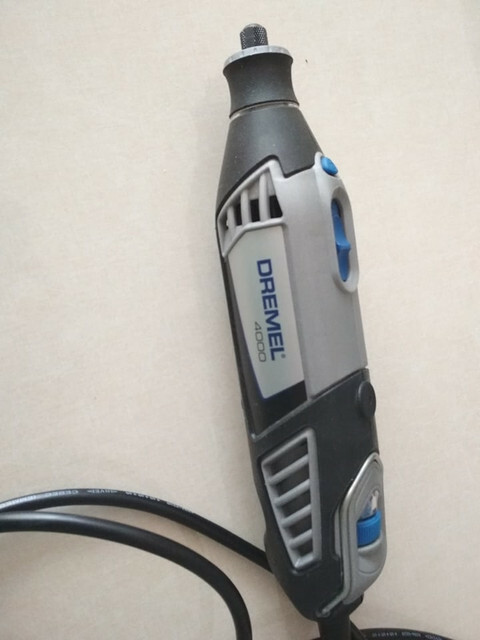 - Dremel-- I hate this stupid thing. No torque, overheats, shoots sparks all over despite being used all of 4 times in 10 years. - Diamond bench stone-- for flattening frets; Fast, chatter free, $20. - Blue Tape-- clamping, masking, yup. Good stuff. - Lee Valley plow/router plane combo and a 6mm blade-- way safer and easier than a router for the truss rod. Also, I'd be curious about how the gaskets are shaped? If you google it, the FOG (festool owner's group) has a thread where they made their own vacuum clamping system (since the Vac-Sys was not available in north america) use a Lee valley carver's vise, vacuum clamping pads, and a joe woodworker vacuum clamping kit. We have a guy at our NCAL luthier group that uses a vacuum clamp (I think it's DIY) with no trouble on unfinished wood. Any number of cheap crappy chisels, planes, files, etc. Yes, Lie-Nielsen and Veritas are worth the price. I had a chance to uae the new Festool vacuum clamping system a couple of weeks ago. Like all Festool stuff it costs an arm and a leg, but if you already have a vacuum pump setup, you can get into this for a (mere, trifling) $550. I will say that the vacuum pump Festool makes is fabulous - tiny and runs almost silently, but it adds at least another $500 to the price. This is a great topic but the question is hard for me to answer. I have a lot of tools that I no longer use, but I can't say I regret buying them. Starting out, I bought many cheap woodworking tools. Now that I have replaced them with real tools, I no longer have a need for them. But, I was able to get a start with them; If I hadn't had cheap options, I would never have gotten into the craft. My first bench plane was a smoother sized plane from harbor freight. To me now, it is junk but at the time I was able to get workable results with it. I now have better planes that offer much less frustration, but the lessons I learned about getting a bad plane set-up and usable are directly responsible for my preference for hand tools now. Most of my bench planes now are vintage Stanley planes; the modern premium planes might offer me even less frustration. Who knows, maybe someday I'll regret buying what I am using now. Scroll saw. Had it for years, brand new, never used it. But it's there, taking up space, just in case. I guess that's as good a reason as any to go down that frustrating road. Where did you get a diamond bench stone for $20? Are you happy with it? Do they offer various grits? It was about 15 years ago at the Japan Woodworker in Alameda. They had a pile of "reject" sharpening stones and other stuff on clearance. While the stones aren't great for sharpening (some bits of substrate are knicked), it's ideal for flattening frets. If I were to get a new stone, I'd be looking into the Atoma line from Japan. The diamond sharpening films from Lee Valley would also be a tool of interest...just add onto a flat substrate. A power jointer. Ended up replacing it with a jointing plane, no. 7 I believe. Can join backs in half the time with a much better joint, and the hand plane cost me 1/2 what the power tool cost! Cam clamps. Never found a need for them. g the lower jaw tapered with a small nail that will hold a cleat. Different methods of building I guess. I use plenty of the Irwin type clamps but no cams. Once I bought a Dremel as a present for my husband on our 20th anniversary. And I guess he never used it. Can't sell it now after his death ... (noone was particularly interested and perhaps, it just reminds me of the event). What are your hobbies? Dremels have all sorts of uses and take many different accessories. If you find a use for it you can be reminded of that happier time each time you use it. A long time ago, I started buying Bridge City Tool Company tools. I then joined the Founder's Circle and got on an automatic purchase plan where they sent me every tool they made with my initials and special serial number engraved on the tool. While almost all of these tools are beautiful and very high quality, there is a lot of duplication. I must have about a dozen different sized squares. For a long time, I didn't have a shop, and didn't do anything with all these tools, because I had nowhere to use them. I just opened the boxes, admired the tools and put them on a shelf. When I finally got my shop set up, I started looking at all these tools, and realized I didn't need three quarters of them. I mean how many squares can you use? I am not knocking the quality or utility, and I take full responsibility for sort of being asleep at the switch. I should have cancelled the order notifications when they were for tools that were just unneeded duplicates of a slightly different size tool I already had. But, I do feel they sort of took advantage of those of us on automatic shipping status. There is, however, one Bridge City Tool that I very much wanted, was looking forward to, and was totally disappointed with when I got it, and that is the Jointmaker Pro. This is a Japanese style saw blade, set upside down under a moving table with a fence. Supposedly, you hold the stock against the fence, and push and pull the table back and forth over the blade, and crank the height of the blade up to saw the wood. It is supposed to be quiet, accurate and portable. I just never got it to cut anything accurately. I set it up according to the directions, and did all the adjustments, but just couldn't get it to cut at a 90 degree angle up and down or side to side. I called customer service, and they tried to help, but it didn't. The gears on the crank stripped out, and they sent me more, and they stripped. I replaced them again. A guy I know has one, and he loves it and says he gets very accurate cuts from it. But I just never did. I tried to sell it on their forum for half of what I paid (which was about what an electric table saw cost), and got no takers. I finally donated it to a charity, and took a tax deduction. I was just glad to regain the space it was taking up to store it in my shop. I no longer am on their automatic buying program, but still get their emails. They seem to now be making all of their old brass and rosewood tools out of stainless steel. The original owner sold the company to somebody else, and I just don't know about the quality, but I have not seen any tools I just "have to have" in years. I bought a Saw Stop table saw, that does everything the Jointmaker Pro was supposed to do, and more (it could not be used to rip boards or cut larger pieced of wood or slot anything). I just love the Saw Stop. Out of the box, it was set up perfectly, and needed ZERO adjustment. It has been safe, accurate, and efficient.